Multifamily buildings are inherently green, thanks to the way they support denser, transit-friendly communities. But they have a legacy to overcome. Uninsulated masonry buildings; antiquated heating systems; inefficient, ad hoc cooling—many aspects of typical multifamily construction and oper­ation evolved in an era when energy was cheap. What's more, lower-quality products often appear in lower-income and affordable multifamily housing, contributing to poor indoor quality and potentially exposing our most vulnerable populations to toxic chemicals in building materials. Seizing the opportunity, many designers and policymakers are working to better address mid-rise multifamily buildings. Good design, public policy, market incentives, developers who see the big picture, and new technologies all have a place in making our multifamily buildings greener. The BuildingGreen Guide to Insulation provides detailed guidance on insulation products and practices, including cost comparisons and detailed recommendations on what insulation to use, and what to avoid. 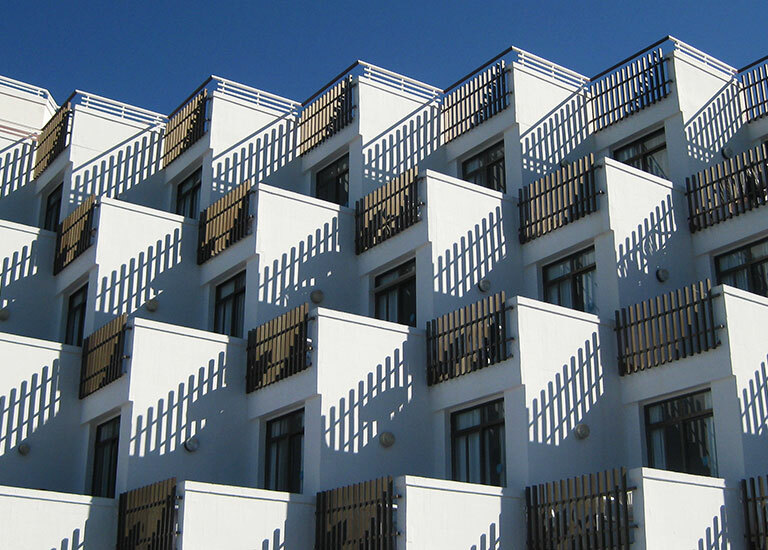 A broad look at the opportunities and challenges in providing resilient multifamily housing. Green building is not just for those with means. Washington, D.C. is developing a tool to assess affordable multifamily housing for resilience to climate change. Stories of designers and developers who overcame the challenges of building affordable housing that is also green, sustainable, and healthy. Because most of the funds are government funds, they are also subject to political pressures. The forum invites affordable housing designers to join HBN experts and others to ask questions and share information on material health.